Residents in the Tri-Cities service area have many FREE options for safe and legal disposal of special wastes including Household Hazardous Waste (HHW) and Antifreeze, Batteries, Oil & Paint (ABOP). Many common products that we use in our homes and daily lives contain hazardous ingredients that require special care in their disposal. The State of California has recently expanded their definitions of Hazardous and Universal Wastes. Items that fall under these categories and A.B.O.P. items are unlawful to dispose of in the normal waste stream. This includes in toilets, down sinks, or in storm drains. Never, ever dispose of ANYTHING in a storm drain. Want to know more about how to identify, transport, and safely dispose of your household hazardous wastes? Check out the brochure linked above for more information. Click here to learn more about Salinas Valley Recycles' FREE mobile service that collects special wastes from qualified home bound senior citizens (over the age of 65) and persons with disabilities. Tri-Cities Disposal & Recycling now offers FREE curbside collection of household batteries for residential customers. To participate in this program, 1) Place 9V, AA, AAA, C, D, and button or hearing aid batteries in a clear zip-top plastic bag 2) Place the bag ON TOP of the lid of your BLUE mixed recycling cart on your regular trash collection day 3) Our driver will pick up the bag and deliver it to a collection facility for recycling. When we think about "Hazardous Waste," we tend to think about barrels of sludge or glowing radioactive ooze, but it's not all so obvious. Toxic products can lurk in many corners of your home or business; pesticides for landscaping, jugs of used motor oil, worn out fluorescent bulbs and tubes, and familiar chemical cleaners purchased with your weekly groceries. When these products are left over, unwanted or unusable, they turn into potentially harmful waste, also known as Household Hazardous Waste. Salinas Valley Recycles (SVR) offers many opportunities throughout the year for Salinas Valley residents and businesses to manage these special materials safely. Click here to learn more about their programs and collection sites. Tri-Cities hosts an annual cleanup week (or weekend) event in each city in its service area. A.B.O.P. items, electronic waste (e-waste), and sharps containers are collected on a special day during these events. Gonzales, Greenfield, and Soledad host annual supplemental “Reuse, Recycle, and Cleanup Day” events as well. Residents are notified of upcoming cleanup week and cleanup day events in advance by mailer and/or community information outlets. Salinas Valley Recycles accepts tires for recycling (for a fee) at the Sun Street Transfer Station in Salinas, the Johnson Canyon Landfill in Gonzales, and Jolon Transfer Station outside of King City. Please check their web site as they periodically host FREE tire recycling events for residents to dispose of regular car and truck (no tractor) tires. Salinas Valley Recycles also accepts approved sharps containers at their Sun Street Transfer Station located in Salinas at 139 Sun Street (hours are listed on their web site.) 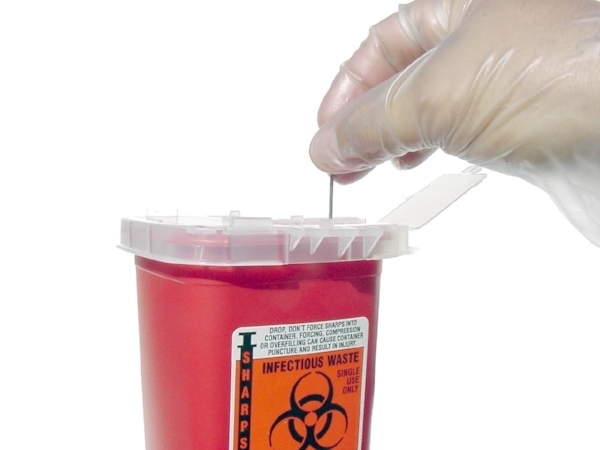 Additionally, there are locations in Gonzales, Soledad and King City where residents can drop their approved sharps containers for FREE, safe, and legal disposal. Don't rush to flush! Medications should never be flushed down toilets or washed down sinks. The cities of Gonzales & Greenfield have safe, anonymous, and secure medication disposal kiosks located in lobby areas of their police department offices. Anyone in the Salinas Valley can dispose of prescription and non-prescription medications in these kiosks and they will be destroyed safely and legally. Location accepts controlled and non-controlled medications. Hours: Monday to Friday, 8:00 am - 5:00 pm. Call (831) 675-5010 for more information. Location accepts controlled and non-controlled medications. Hours: Monday - Friday 8:30 - 4:30 PM. Call (831) 674-5111 for more information. Do not transport these unacceptable household hazardous waste materials! Motor oil is a hazardous waste and should be disposed of properly. The Monterey County Environmental Health Department and Tri-Cities Disposal & Recycling Service are working together to provide the residents in the Tri-Cities service area with an environmentally friendly option for disposing of your used motor oil and filters. To dispose of your oil, you must use the County's used oil collection container. When your container is full of oil, simply, place it next to your blue recycling cart at the curb on your regular trash collection and recycling day. If you do not have the proper container, one can be provided by calling Tri-Cities Disposal & Recycling Service toll-free at 888-678-6798. Napa Auto Parts in Gonzales also carries the free containers on behalf of the program. This service is provided for single family residences only. Oil must be free of all other fluids (no antifreeze or fuel) and properly placed to avoid spillage. Tri-Cities Disposal & Recycling Service (TCDR) provides the highest quality refuse and recycling collection services for the Salinas Valley cities of Gonzales, Greenfield, and Soledad, California. Our mission is to provide quality service while preserving resources and protecting the environment. At TCDR we strive to meet local and global environmental challenges and we take our lead role proudly. We encourage every person to REDUCE the waste they make, REUSE items instead of repurchasing what they don't need, and RECYCLE as much as possible. In addition, be creative and REPURPOSE what you have. Remember, "refuse" is not one of the three R's, and the last resort when reducing, reusing, and recycling doesn't apply. Find out more about what we are doing to save our earth! One world...one way...BE GREEN... today, every day! IT IS UNLAWFUL TO PLACE ANY HAZARDOUS MATERIALS OR HAZARDOUS WASTE INCLUDING ASBESTOS CONTAINING MATERIALS INTO ANY TRI-CITIES DISPOSAL & RECYCLING SERVICE DROP BOX. Medical waste does not belong in your trash, recycling, or green waste cart! Your recyclables don't disappear when they go to the curb. They come to us. We only have seconds to sort paper glass and plastic. And when we spot a needle or any medical waste...everything stops. What's worse is when we don't spot it. Please remember that there are human beings sorting through recyclable materials in our materials recovery facility. When people put medical supplies and contamination such as needles in the recycling cart, they put our entire staff at risk for medical problems and disease. 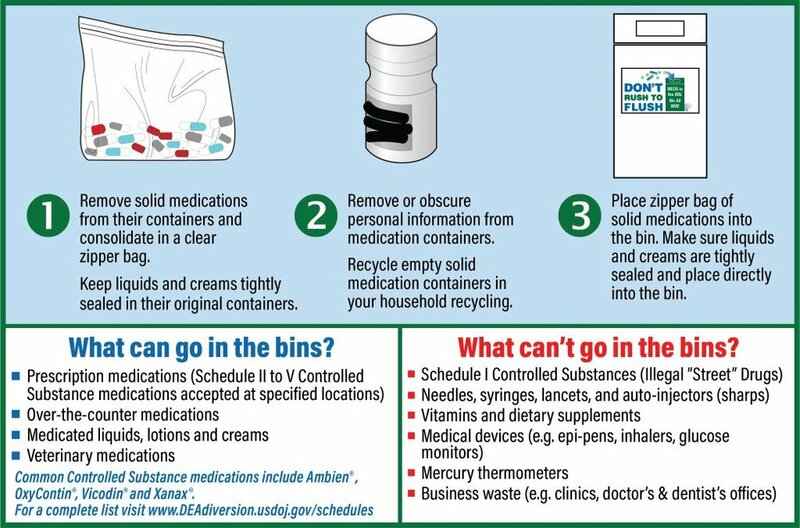 Please visit the website for Salinas Valley Recycles to find out how you can safely and legally dispose of medical waste while protecting people and the environment.